Whether you eat it, drink it or apply it, Indian gooseberry (Amla) can be immensely beneficial for your skin, hair, and health. 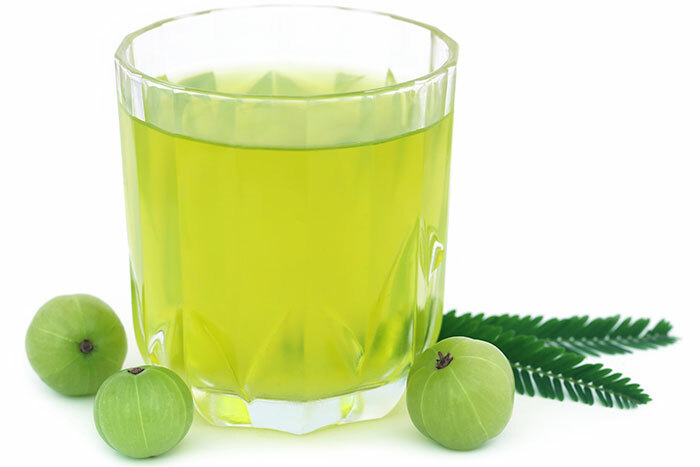 Gooseberry (Amla) juice combats aging like no other natural products while its paste can work wonders for your hair. They say a strict beauty regime every day can keep skin problems away. But with so many options available in the market one can easily get spoilt for choices and yet not be able to solve the mystery behind the best go-to product for skin problems. To steer clear from such confusion and pamper your skin with nothing but the best, go for simple yet effective homemade treatments. With minimal or almost no side-effects involved, home treatments will give you flawless and beautiful skin that too without burning a hole in your pocket. Avocado is a popular treatment for any skin related problem as it possesses antioxidants, minerals, and vitamins. Not only does it taste good, it also aids in repairing your skin against any damage caused to it as a result of pollution, impurities or excess usage of chemicals on it. To make an effective skin repairing amla face pack, just take 2 spoons full of amla powder and add 2 spoons of mashed avocado to make a thick paste. Apply the paste on your face and wash it off with cold water after 20 minutes. This will rejuvenate your face and give you younger looking skin. Looking for a solution for your acne and pimple prone skin? Try this effective face pack for oily skin. The anti-bacterial properties of amla will stop sebum formation on the skin thus keeping it clean and clear. Boil some tea leaves in 5-6 tablespoons of water and strain the liquid. Add 2 teaspoons of Amla powder to the tea water and make a thick paste. Apply all over your face and neck and let it dry for 15-20 minutes. Wash off with lukewarm water. Being a natural blood purifier, gooseberry (Amla) paste is a worthy solution for your skin woes like acne and pimples. It fights the micro-organisms present in the skin. It is also effective in treating the marks left behind by pimples and restores skin to its normal coloration. Apply gooseberry (Amla) paste on your face for 15-20 minutes to get rid of acne and its ugly spots.